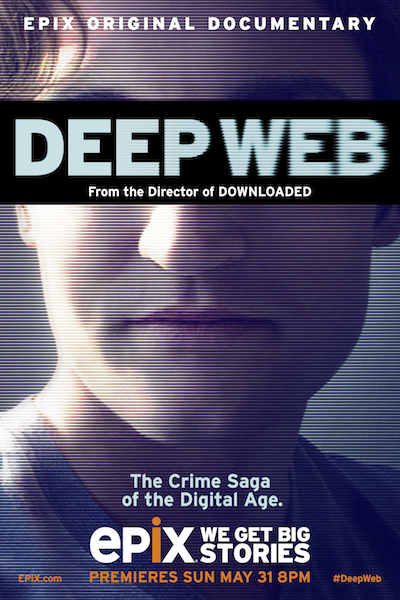 Original Documentary Deep Web chronicles one of the most important and riveting digital crime sagas of the century — the October 2013 arrest of Ross William Ulbricht — featuring exclusive interviews with the Ulbricht family including Lyn and Kirk Ulbricht, Ross’ parents who have become public advocates for digital rights and due process. Ulbricht, the 30-year-old entrepreneur alleged to be “Dread Pirate Roberts” — founder of Silk Road, the notorious online black market best known for drug trafficking, is currently on trial in New York. The feature-length documentary explores the inside story of the investigation and unveils how the brightest minds and thought leaders behind the Deep Web and Bitcoin are now caught in the crosshairs of the battle for control of a future inextricably linked to technology. Interviewees include: Joshua Dratel, Ulbricht’s lawyer; Andy Greenberg, technology writer for Wired, author of This Machine Kills Secrets and the first reporter to interview “Dread Pirate Roberts”); Cody Wilson, a crypto-anarchist known for his development of the “3D printed gun;” Gavin Andresen, chief scientist at the Bitcoin Foundation; Andrew Lewman, the Executive Director of Tor, a suite of tools that allows users to access content on the internet anonymously; and Todd Shipley, a cyber and high tech crimes expert.